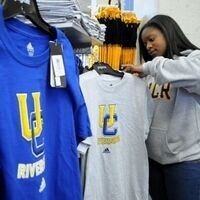 This Thursday, you can take an additional 50% off clearance at the UCR Bookstore! Dont miss this great opportunity to check out all the new items the UCR Bookstore has to offer — including apparel, snacks, collectibles and more! Thursday, November 8, from 8am to 5pm. In-store only.